May is a wonderful month. Not only does it hypothetically signify the end of the April showers, it also means not one, but TWO bank holidays – on the 2nd and the 30th! So there are two extra reasons to book a holiday! ‘But bank holiday getaways are expensive’ we hear you cry. Well, not necessarily! We’ve scoured the web and found a range of destinations and deals that incorporate one of the May bank holidays without the costly fares. Yay for May! Seeking sunny weather, a rich culture, sandy beaches and fascinating architecture? Barcelona’s your man! It's also the place for first-rate tapas, fresh seafood and inexpensive wine! When you're not beachside or tucking into tasty fare, head to Park Güell to marvel at Gaudi’s surreal creation, get lost in the cobblestone Gothic Quarter, and catch the colourful show at the Magic Fountain of Montjuïc after sunset. Tiny, friendly and peaceful, it's easy to fall head-over-heels in love with the island of Malta. Seek out hidden coves, take a boat ride to the magical Blue Lagoon for crystal-clear waters teeming with marine life and explore the vibrant capital, Valletta. 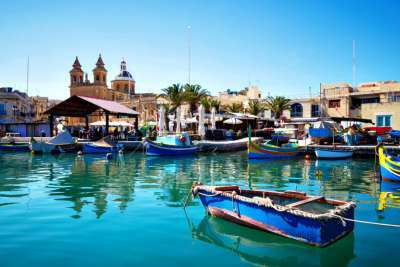 The hilariously quirky Popeye Village is great for families - or history buffs will love the plethora of cathedrals dotted across the island. 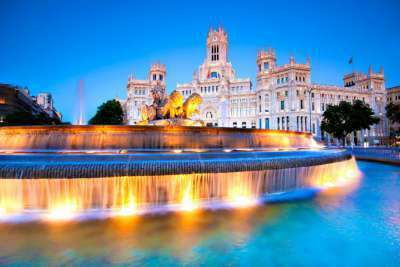 Bursting at the seams with vitality, Spain's passionate capital places great emphasis on nightlife, and you don't have to roam far to find a cocktail bar, nightclub or dancing 'til dawn. Then there's the art scene - head to Museo Nacional Del Prado for pre-19th century works, or visit one of the many pop-ups for modern collections. Did we mention the food? There's everything from creative fusion joints serving elaborate dishes to character-filled traditional Spanish eateries. Miles-upon-miles of golden sands, whitewashed villages and a short journey from the UK all mean that the Algarve packs a punch in the holiday department. Whether you're seeking quiet cobblestone villages and hidden coves or throbbing beaches with rowdy English bars - you don't have to travel far for either. Combine this with low prices and year-round warm weather and you’ve got a winner. 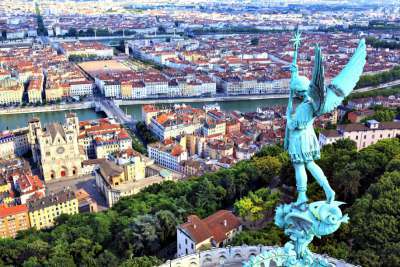 Lyon is underrated as a destination, with many visitors choosing Paris or Marseille instead - they are missing a trick. The historic city boasts an unrivalled elegance with world-class museums, a thriving nightlife and gourmet restaurants. Must sees include the impressive Théâtre Romain, an amphitheatre built around 15BC and the majestic Cathédrale St-Jean. For art lovers, the Musée des Beaux-Arts showcases spectacular pieces by the likes of Picasso and Monet. Edinburgh is surprisingly beautiful - expect cobbled streets, sea views, craggy hills and a labryinth of fairytale lanes in the Old Town. 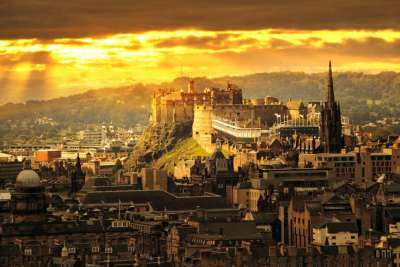 Visit Edinburgh Castle for historic towers, exhibitions and more spectacular views, hike the hills to Arthur's Seat, and have your mind blown at the crazy-fun Camera Obscura & World of Illusions museum. Bucharest often gets overshadowed by visitors keen to visit Transylvania, but the city has an endearing collection of museums, scenic parks and trendy hang outs that are well worth a visit. You can’t miss the Palace of the Parliament, the second largest administrative building in the world, which boasts an infamous history. 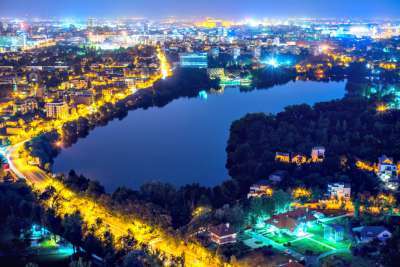 Or if the buzz of the city centre gets too much head to Herăstrău Park, where you'll find thick forests and a tranquil lake. 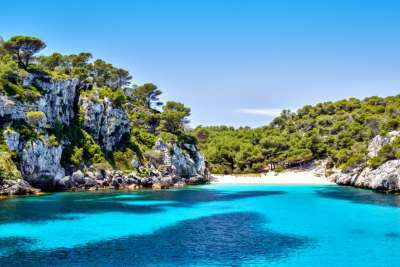 Menorca offers a low-key alternative to its sister islands, Majorca and Ibiza. With 134 miles of coastline, it's a match made in heaven for holidaymakers seeking tranquil coves, white-sand beaches and a mellow atmosphere. For even more scenery take a boat trip to the nearby Colom Island - the surrounding water is renowned for fantastic snorkelling and diving. Surrounded by nature, Bratislava offers a unique setting, with mountain trails and untouched countryside all within easy reach of the city centre. Inland, the tiny Old Town is an ode to fairytales with pastel-coloured century-old buildings and magical cathedrals. Culture lovers will find plenty of museums and castles to keep them entertained and foodies will be in their element - with plenty of hearty Slovak dishes to sample. This large stretch of coastline in southern Spain offers a hefty mix of traditional and tourist-designed establishments, but despite its popularity, still maintains plenty of beauty. Head to Marbella for TOWIE-style glamour, Torremolinos for golden beaches and British pubs, Benahavís for high-class restaurants, or La Duquesa for authentic Spanish character.